Founded in 2013, Pine’s Art now has operations in both Taipei and Shanghai. 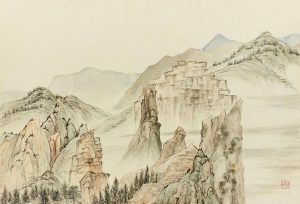 The gallery has made great efforts to introduce the calligraphy works of important Chinese scholars such as Tung Chiao, Bai Qianshen, Chang Tachun and Lu Hao to a wider audience. Pine’s Art also discovers unique ink artists, such as Chen Rudong, Huang Chienliang and Gu Jin. Respecting the Chinese literary heritage, the vision of the gallery is to seek contemporary artists who are capable of expressing the spirit of Chinese philosophy and Oriental aesthetics.